Game of Thrones fever is at an all-time high, with the new and final season premiering Sunday on HBO. What will become of your favorite characters? Fan theories abound. 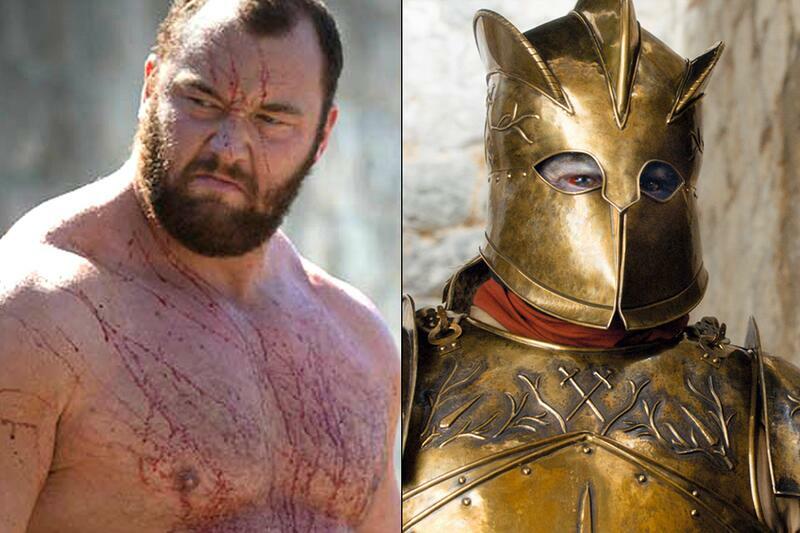 Here at Shields, we were thinking about the health care available to characters who are as large as say, Ser Gregor Glegane, a.k.a. The Mountain. Where do they go when they get injured? Because you know they'll DEFINITELY be getting injured. Rewind to just two years ago when the actor who plays Clegane, who is larger-than life, shared on Instagram that he was suffering from Bell's Palsy. 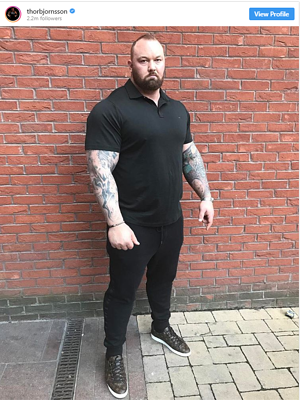 The actor is professional Icelandic strongman Hafþór Júlíus “Thor” Björnsson, who stands 6-feet-9, weighs nearly 400 pounds, and holds world records for things like carrying fridges in each hand. Bell's Palsy is - usually - a self-limiting condition that causes paralysis to one side of a person’s face. The condition occurs when the facial nerve becomes inflamed. As with almost every nerve, the facial nerve is connected to the brain to either carry information from the brain to control muscles or return information to the brain relating to sensory information. For these nerves to do this, they must pass through a passage of bone near the upper jaw. If the facial nerve is inflamed, it can interfere with the signals that the brain sends to muscles in the face, causing one side of the face to become paralyzed. People with Bell’s palsy can find it difficult to close their eyelid on the affected side. They may also drool and find it difficult to chew food. Taste can also be affected. Some people also experience headaches, jaw ache and tinnitus (ringing in the ears). Bell’s palsy is one of a group of conditions that can cause paralysis of the facial nerve. Bell’s palsy is the most common form of facial nerve paralysis and encompasses cases where the cause of the paralysis cannot be identified. The condition is named after the 19th-century Scottish anatomist and surgeon Sir Charles Bell, who used three cases to describe the palsy (paralysis) that was named after him. MRI is recommended by doctors to help diagnose Bell's Palsy, and to rule out other possible sources of pressure on the facial nerve, such as a tumor or skull fracture. We don't know if "The Mountain" Thor Bjornsson had an MRI as part of his diagnosis or not, but we do know that even at nearly 6-feet, 9-inches and 400 pounds, Bjornsson would fit inside one of our comfortable open MRI machines. 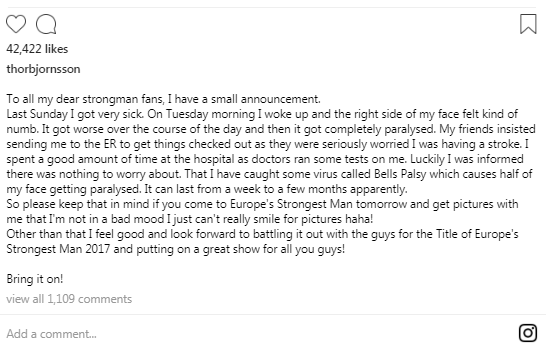 As a disclaimer, we should say that we've (unfortunately) never met Mr. Bjornsson, and his medical care is a private issue between him and his doctors. Shields has no affiliation with HBO or Game of Thrones. 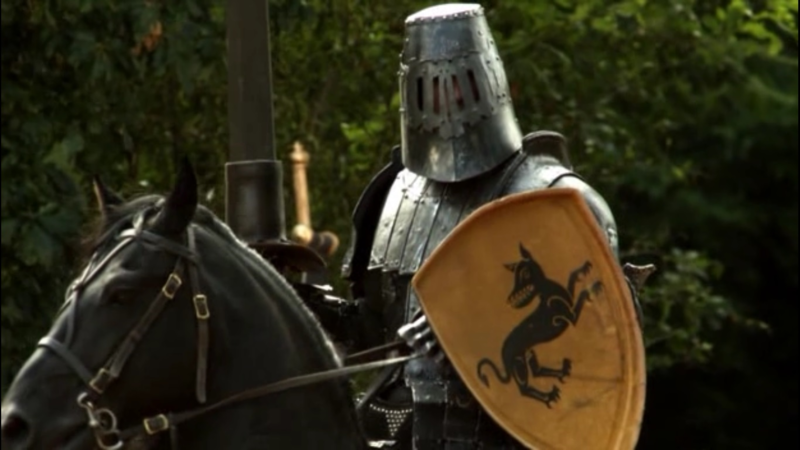 If there's something that we can say with authority, it's this: as you can see clearly in the picture below, Gregor Clegane is a big fan of "Shields."